“Verity put me at complete ease throughout my treatments with her, explaining what areas would be targeted and its benefits. Definitely worth having acupuncture and highly recommend Verity”. “I was very sceptical about having acupuncture…I did make Verity aware how much I hate needles, she was very understanding. She took it slowly with the amount of needles and was very gentle with her hands…I would highly recommend acupuncture…I’d like to thank you Verity”. “Thank you so much Verity for the amazing way you have treated a variety of my ongoing problems”. Verity “makes you feel comfortable opening up to her. Highly recommended”. “I have had a course of six treatments with Verity and found that it has been invaluable. The arthritic pain in my knees…which kept me awake at night has ceased and I am no longer taking painkillers. I found Verity very caring and professional and would not hesitate to recommend her. I plan to have top up treatments if needed on a regular basis”. Andrea Steinlechner and Verity Barltrop from the Harley Street Acupuncture Clinic would like to invite you to attend an Open Day at their clinic. This is an excellent opportunity to find out what acupuncture can do for you. Why not have a free 15 minute consultation with either Verity or Andrea. Yes, free! Ask any questions that you may have and learn more about acupuncture. There will also be presentations (talks) giving general information about acupuncture, and on more specific topics relating to how acupuncture can be used for Fertility and during Pregnancy, and how it can be used to help manage Pain and Stress. To book an appointment for a free consultation and/or presentation, or for press enquiries and to discuss any questions that you may have about the day, please email verity@harleystreetacupunture.co.uk or contact Verity directly. Appointments are made on a first come first serve basis, so book early to avoid disappointment. Places are running out fast! The Dragon is the sign of the emperor in China. 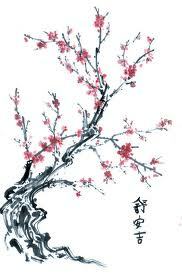 It symbolises male and yang, wealth, good fortune, and power. People born in Dragon years are to be respected. They are brave, confident, and successful, but can tend towards working too hard. They can get stressed and suffer from tension headaches, and will rarely ask for help. Does this sound like you? Why not celebrate the New Year by starting a new course of acupuncture at our clinic? Treat yourself and take a break! The client is a 36 year old female, whose name has been changed to Sarah for the purpose of this case history. Sarah had an infected tooth that had been causing her pain, and was due to have root canal treatment at the dentist. Through discussion with her dentist (Dr. Gomez) we agreed a treatment plan. I would treat Sarah first in the dentist’s chair and then dental work would start without any anaesthetic injections being given (acupuncture would be the only pain relief). If Sarah indicated that she was experiencing any pain she could opt to have the anaesthetic at any time. I performed the acupuncture treatment and then dental work started. Sarah was asked throughout the procedure if she needed any anaesthetic, but she didn’t. Dr. Gomez said that she thought Sarah was “very relaxed”. After the treatment Sarah was smiling and said that she felt “great”. She went out for tea and cake immediately afterwards and had no problems eating and drinking. No numb mouth or dribbling! For the next two days, although she felt bruised in the area where the root canal treatment had been done, she experienced “no pain at all”. Four days later Sarah felt “absolutely normal”. Thank you to Dr. Gomez for her co-operation.